Xiaomi has made its first foray into home security devices in India with the Mi Home Security Camera 360 at the #SmarterLiving event. 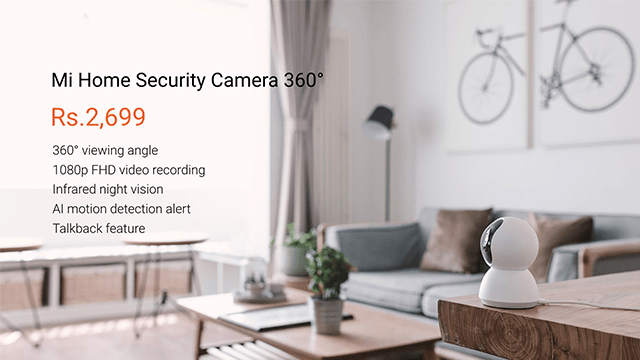 Priced at Rs 2,699, the Mi Home Security Camera is packed with features that most users would want in a home security device, but also has that signature Xiaomi low pricing, which makes it all the more attractive for urban users who have been on the fence for such products. The Mi Home Security Camera will be available from October 10 at Mi.com, Amazon.in and Flipkart. The company will also be selling the camera through its Mi Home stores and other physical retail outlets. 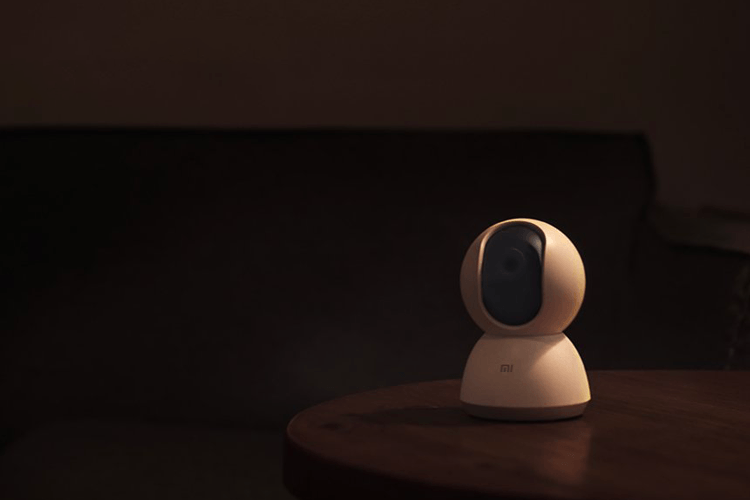 One of the best features of the Mi Home Security Camera is that it can keep a watch on your property and loved ones in the dark too. This is possible due to the 10 infrared illuminators on the front of the camera, which records up to 1080p videos. The camera, as its name suggests, can rotate 360 degrees around itself and also has motion detection to turn itself to the direction where an pet or person is moving. You can control the viewpoint using the Mi Home companion app. You can also watch live feeds from this app, making it a handy way to keep things safe from your smartphone when away. Another killer feature is the two-way talking functionality. Your loved ones will always be within earshot thanks to this feature. Not only can you call on them if you see any signs of distress, but they can respond back using the camera just like in a video call. 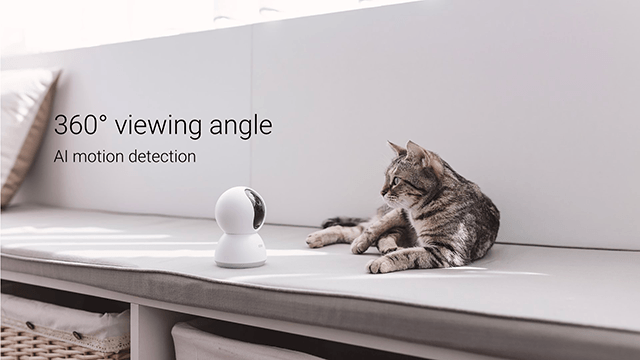 Xiaomi said you can even talk to your pets through the camera – which sounds like dream come true for many pet owners in our office. With a 64GB expandable storage, the Mi Home Security Camera has plenty of room for your recordings and you can always take clips offline to keep a record. We can’t wait to check this out and see whether Xiaomi has got the smart home device formula right.